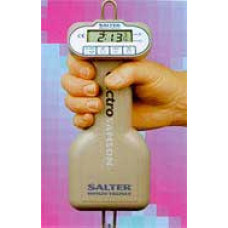 A battery powered compact hand held weighing device with an LCD display. The ElectroSamson is design..
A battery powered compact hand held weighing device with an LCD display. The Salter ElectroSamson is..